It really shouldn’t surprise ANYONE in the travel industry that the Flat-Earther’s Society has chosen Chimu Adventures to lead them to Antarctica on their upcoming quest to reach the edge of our planet. We are, after all, the Antarctica travel experts, so who more qualified to lead a group of conspiracy theorists on an edge end-of-the-world adventure to the great White Continent? Because someone has to save the penguins! This highly-anticipated international voyage is set to take place probably never in 2020, although for obvious safety and logistical reasons, the exact dates of the journeys have been kept a secret. Even from us, which will make the whole ‘planning stage’ really exciting. 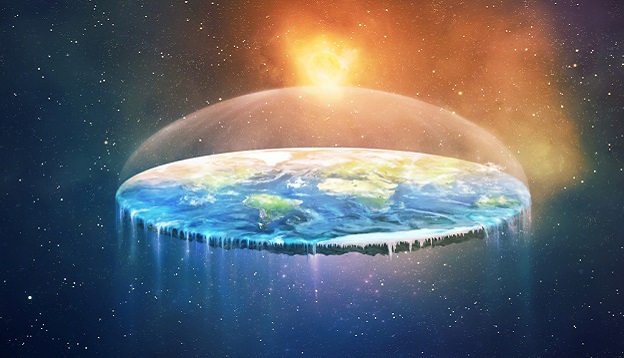 According to the society’s not widely-believed theory, the edges of our flat earth are contained within a 50m-high, 200m-wide wall of ice, with the whole planet (as well as the stars, moon and sun) sitting inside an all-encompassing globe. We presume that snowfall and earthquakes, therefore, occur when someone tips the globe upside down and shakes it really hard? Not sure, just guessing here. You can read more on the famed Ice Wall on the Flat-Earth-Society-Wikipedia – which (actually) really exists. Who knew?! 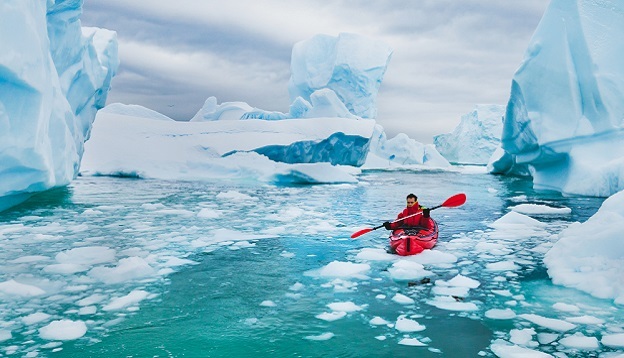 The Society bases its theory on the fact that Sir James Clark Ross, the famed British explorer who extensively travelled to both polar ends of our planet in the early to mid-1800s, described encountering a wall of impenetrable ice. Ross crossed into the Antarctic Circle on January 1, 1841. He was, from what we know, the first explorer who ever came face-to-face with the pack-ice of Antarctica, and described it as a seemingly ‘motionless and menacing barrier’. Although flat-earthers seem to have gotten a bit stuck on the term ‘barrier’, what Sir Ross did manage to do, in fact, was discover Antarctica’s largest ice shelf: a stupendous mass of ice which now bears his name. The Ross Sea Ice Shelf extends off the Antarctic mainland and covers a staggering 500,000 square kilometres – roughly the size of France. This is the largest ice shelf that’s ever been discovered on earth. Where it protrudes over the open sea, the ice shelf reaches up to 50m in height above sea level (so at least they got that right) although most of it lies underwater. 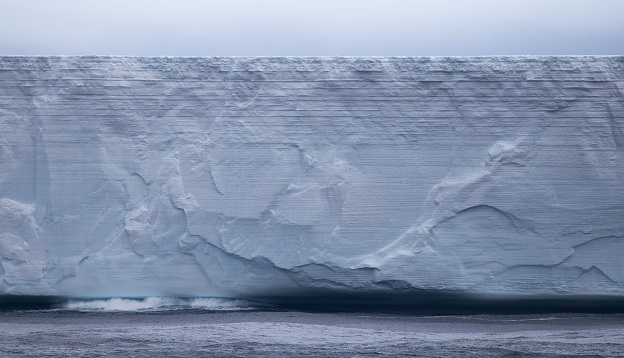 Scientists have been studying this incredible ice barrier for years, attempting to understand the role the shelf plays in stabilizing the Antarctic ice sheet, how the shelf’s bed influences ocean circulation and how it’s evolved (in size, shapes and manner) since the last ice age. What is the Flat Earth Theory? According to proponents of the Flat Earth Theory, we are living on a disc-like planet with the Arctic being in the centre and Antarctica stretched out to create the entire edge of it, hence the ‘ice wall’. Because the disk is believed to be contained within a sphere, however, there is not actually any risk of anyone falling off which is, as we’re sure you’ll agree, rather disappointing. Several reasons have been put forward to affirm this claim (read the most interesting one, right here) but to make it short, all NASA data, info and images are allegedly faked by governments, in order to keep the real shape of our planet, secret. What happens when flat-earth proponents actually reach Antarctica? The most obvious rebuttal of the Flat Earth Society’s theory will actually come from the expedition itself. We’ve been to Antarctica countless times and the only way we can get there is if we rely on ship’s navigational systems, all of which are based on the axiom that our planet is a sphere. If we manage to successfully take a group of vacationing flat-earthers to Antarctica, then our very arrival would disprove their theory and, no doubt, send them into fits of despair. But don’t worry, we’re already planning a bunch of super cool and fun activities to take their minds off their woes. Because if there’s one thing you can be sure of, on an Antarctica expedition with Chimu Adventures, is that no-one ever returns home disappointed. Antarctica expeditions are usually described as being ‘life-changing’ and it’s for this specific reason that we are super excited to be involved in the planning of the Flat Earth Society Antarctica Challenge in 2020. Want to join us? Then contact us, right here, to know more. Fly further south than any time of the season. Anticipate an exciting ice navigation that pushes adventurers below the Antarctic Circle and into the mysteries that unfold.